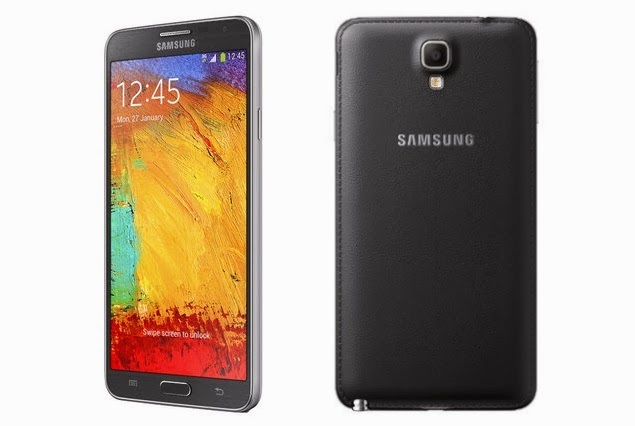 Samsung Poland has finally and officially unveiled the Galaxy Note 3 Neo phablet after rumors and leaks that emerged online prior to this announcement in late January. Based on the photos published by GSM Arena, the Note 3 Neo's looks is very much the same as the original Samsung Galaxy Note 3 except its size which only sports 5.5-inch Super AMOLED HD screen compared to 5.7" screen of the Note 3. There are two variants of the Galaxy Note 3 Neo that will be released, one in 3G version and another supporting LTE technology. These new S-pen equipped phablets will both sport 5.5-inch screen with resolution of 1280x720p right out of the box. Under its hood are 2GB of RAM, and 16GB internal storage, it is also necessary to take note that out of this 16GB storage only 11GB will be available to users. This can also be expanded via microSD card up to 64GB. These Android 4.3 Jelly bean phablets are also called Galaxy Note 3 Neo HSPA+ and Galaxy Note 3 Neo LTE+ so users will know which one supports 3G and which one works on LTE+. As for its lenses, both will have 8MP rear camera with LED flash and 2MP front facing camera which all will have BSI sensor. Aside from the mentioned specs above that are found in both devices including the faux-leather back cover, the same battery size is also found here which is 3100mAh. However, these two will have different processors. For example, the normal 3G Note 3 Neo will be powered by a 1.6GHz quad-core processor while the LTE+ version will have a hexa-core processors and that would be two 1.7GHz Cortex-A15 single cores and four of 1.3GHz Cortex A7 cores. The Samsung Galaxy Note 3 Neo and its LTE+ version will come in Black, Green and White color option and are going to be released in various markets with the exception of the US and UK. No official pricing yet.